The Beast is here! Also, What’s Next? Prince Adem is turning into a beast. Belle is hiding her past. As they search for a cure, they uncover the dark truth behind Adem’s curse and the condition he has to meet to break it. 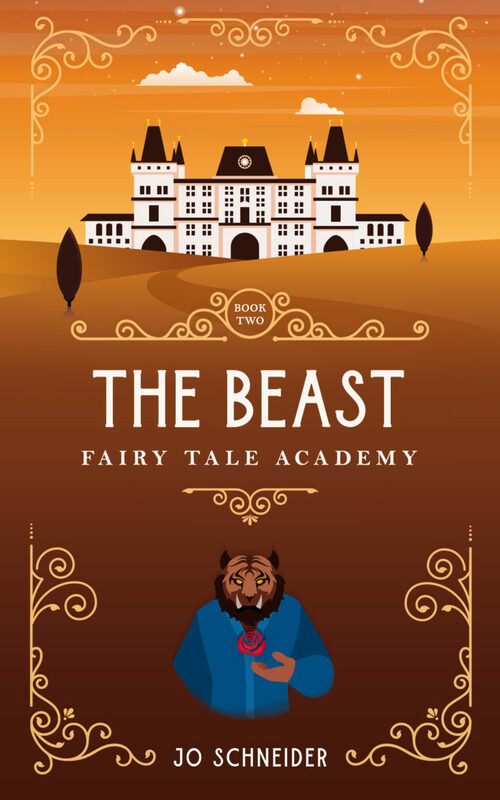 That’s book 2 in my Fairy Tale Academy Series! Did you like The Mermaid? Excited to go back to The Academy? Beauty and the Beast is maybe my favorite fairy tale. (Don’t tell the others.) It stems from seeing Disney’s version in the theater when I was a teenager and falling in love with it. Specifically the library. 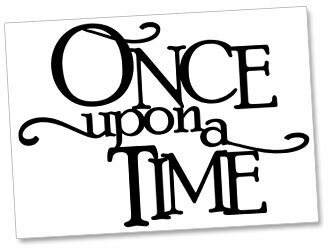 I read a few of the early versions of the tale before I started writing mine. One tidbit I incorporated was that of Belle’s lineage. 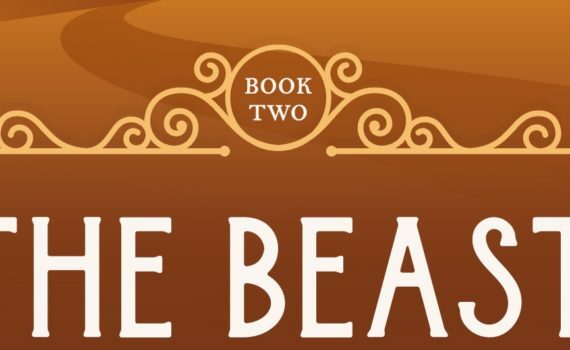 You’ll have to read the story to find out more, but Belle is more than she seems, and it is important. As you’ll read below, Adem’s curse works a bit different in my story than other versions. I hope you like it! Official release day is next Wednesday, Feb. 6th! The carriage swayed as it trundled through the dense forest. Each rut in the road made the carriage jolt, and each jolt made Adem grit his teeth. Gilles sat ramrod straight in the seat across from Adem. The dark jacket over his tunic fit his slim body to precision. The buttons caught the light filtering in through the window, and despite the bouncing, Gilles’ perfect posture didn’t waver. The man’s dark eyes bored into Adem’s. “Yes, who?” Adem asked, his voice almost a growl. “It’s not like I’ve never seen a pretty girl before,” Adem grumbled. “I will be,” Adem said, keeping his anger in check. “Not even me.” The older man didn’t blink. “I know the consequences of failure.” Adem swallowed as blurry images of the first year of the curse rose in his mind. The monsters who had once been his friends had thrown themselves at the barrier around the castle until their own bodies were broken, or they found someone else to prey upon. Adem’s eyes flicked to Gilles again, and he narrowed them. The man was hiding something. Adem could practically smell it as Gilles looked out the window and pretended to ignore the fur that had sprouted on his face the moment they’d cleared the barrier around the courtyard. The coach lurched to the side and hit a bump so big that Adem lost contact with the seat, then crashed down hard. Pain stabbed his backside, awakening the anger lurking just below the surface. “What’s going on?” Adem bellowed as he opened the window. He stuck his head out and heard the horses scream in terror, then an invisible hook grabbed the carriage and hauled it forward. Adem hit the back wall hard. Gilles flew across the space and landed in an undignified heap next to Adem. Their gilded cage began to vibrate as the horses sped up. Stars danced in Adem’s vision, and he shook his head. “Are you all right?” He helped Gilles to a sitting position. Gilles nodded, but put a hand to his head where blood ran from a cut. The scent of iron stung the inside of Adem’s nose. It drew him in like a child to a piece of candy. He licked his lips, wondering what the hot liquid would taste like. “See what’s happening,” Gilles said in a weak voice. Adem inhaled. Something didn’t smell right. Not blood, but a musk that made the hair on the back of his neck prickle. He stuck his head out and found the horses pulling against the reins. “Marshel, what’s going on?” Adem yelled. Another growl. Almost words, but not quite. “Great,” Adem muttered. He unclasped his cloak, dropped it on the seat, and opened the door. “Master Adem, what are you doing?” Gilles asked in an alarmed voice. Adem ignored the man and moved out onto the steps. Cool wind pulled at his tunic. Lather covered the horses’ hindquarters. The carriage hit another bump, and Adem’s fingers tightened around the door frame. With a grunt, he heaved himself toward the driver’s bench. “You’re going to get killed!” Gilles cried. “Not if I can help it.” Adem stretched his hand toward the rail of the driver’s bench. The tips of his fingers brushed the rough wood. He stood on his toes and took hold of the rail just as the carriage bucked again. Adem let out a yell and used every ounce of strength he could muster to hold on. One glance down showed the broken road beneath, along with the mercilessly turning wheels. His fingers slipped. Maybe Gilles was right—maybe he was going to die. If he died, everyone in the castle died. A shot of adrenaline—more than he’d ever felt before—coursed through his body, and Adem reached for the rail with his other hand. His fingers inched toward the target, but they went over another bump, and Adem almost slipped. His back hit the side of the carriage hard. He glared at the rail, held his breath, and reached. This time his grip found purchase, and he used the remaining adrenaline to pull himself up. Instead of fingers, claws protruded from the man’s gloves. Gray fur poked out the top. The hair on Adem’s neck rose again, and he found himself bearing his teeth. He shook his head and reached for the reins. The snarl turned into a groan, and Marshel shuddered. He looked up. Adem froze. Instead of the man’s usual blue eyes, gold eyes stared back at him. “Can’t do that. Sorry.” Adem wrenched the reins from Marshel. Marshel lunged, but Adem kicked him away. Marshel crashed to the other end of the bench, and Adem pulled on the reins. The horses fought against the command. Now that he knew Marshel had started to change, Adem could assume that the animals had caught the scent. The carriage slowed. The horses refused to stop completely, but Adem slowed enough so Gilles could hop out and pull Marshel off. After another dozen yards, the horses lost his scent and came to a stop. Adem tied them off, hopped down, and ran back. Gilles crouched over Marshel, who contorted as if someone were poking him with a hot iron. Animal fur sprouted on his cheeks and jaw, and Marshel’s nose elongated. “Does it matter?” Adem asked. Faces of those still in the castle swam before his vision. Men and women who had been servants, nobles and peasants, forced to work together to survive. Most Adem counted as friend. “What about you?” Gilles asked.